Who was that masked woman? That was the question plaguing Perry Mason. 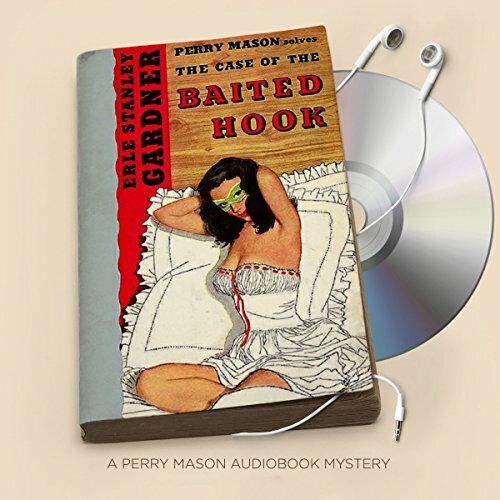 No one loves a good mystery more than Mason - but being asked to represent a client who is concealing her identity, not to mention the particulars of her case, has given even the legendary legal eagle a case of ruffled feathers. Yet the intriguing cloak-and-dagger tactics have Perry hopelessly hooked. As for the silent siren behind the mask, is she heiress Byrl Gailord or penniless Adelle Hastings? Both women have ties to a man named Tidings, a man who may be a protector or predator. A man who could answer a lot of tough questions - if only he hadn't been murdered. As with all Perry Mason books the basic set of characters with new clients. The best way to set the stage is to say that Perry's greed gets the better of him and propels him into investigating unknowns that perplex him for a while. As the story continues intrigue and greed of others set Perry up for a criminal complaint that he must wriggle out of and in so doing solves the case. As with the other 15 books this is also a great story well told and acted and well worth the time to listen. No court house drama, but still pretty good. I wish I could find a modern day Perry Mason series. Absolutely love Della's loyalty to Perry. Dear Mr. Gardner, I wish you were still alive so that I could tell you how very much I love your books! Well researched, and with fascinating plots, they hold my interest until the very end. It’s interesting to see, as well, how much the legal system in the courtroom has changed between your time of writing and today.